The most important tool for a modern-day technical writer is the computer. Advances in computing power have allowed technical communicators across every industry to create and manage bigger, more complex and more visual projects, whether that is online help systems or e-learning tutorials. Compatibility. Knowing what your computer can and cannot run is key for a productive technical writer. It’s best to know in advance if one of your clients requests that you use a certain version of software that your computer doesn’t support. By getting to know your setup, you can take a proactive approach to upgrading your computer ready for future software updates. Security. Older computers tend to run operating systems that are no longer supported with the latest security patches, making them vulnerable to viruses and malware. It’s also hugely important to keep regular backups of your files in case anything goes wrong. Security is easily overlooked but it pays to ensure your setup is guarded against any possible data loss or security breaches. Personal health and wellbeing. Adjusting your setup to suit your needs isn’t just about having enough RAM in your computer or running the latest version of Outlook. Small improvements like a wrist pad for your keyboard and placement of your screen can make a big difference to your personal wellbeing, which in turn leads to a more productive and happy technical writer. After all, the majority of a technical writer’s working day is spent at the desk. What system you should use as a ‘daily driver’ should always be a reflection of the working environment that you’re in. 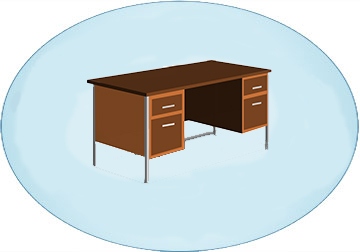 Do you work primarily at your office, sat at a desk? Then a desktop would be fine. Do you tend to work at a few different locations on a reasonably regular basis? A laptop would give you the power you need with the bonus of portability. Are you constantly travelling, hopping between client sites and need access to files instantly? A tablet offers a great compromise between battery life and processing power in an easy-to-use package. Each system has its own advantages and disadvantages. Desktops are as synonymous with offices as staplers and pens, and it’s easy to see why. They offer better value performance, are easy to upgrade and troubleshoot and compatibility with other peripherals is almost never an issue. However, the modern technical writer is often working between multiple locations, whether at a client site or at home. Laptops are a better portable solution in this case, allowing you to run the same desktop applications from a machine you can take with you wherever you go. Unfortunately, you have to pay a premium for the privilege and most have a relatively short battery life, limiting you on work time that you’d inevitably feel when there are critical deadlines to meet. The latest tablets have competitive performance compared with laptops and are easier to use – perfect for showing demos to clients on-the-fly. However, applications that technical writers frequently use, such as Photoshop or Robohelp, are either watered-down versions of their desktop equivalents or absent completely. This isn’t so much of a problem if you’re working on a browser-based solution such as Confluence, but can still be a pain if you have to find similar apps to mimic the options you’re used to getting easily when working in a normal desktop/laptop environment. Getting an additional monitor for your office setup should be high on the priorities list, irrespective of the device that you’re working on. I’ve found that working on two monitors is invaluable when developing user documentation and online help – the added screen estate lets you easily compare items side-by-side without the awkward scaling that you can get when snapping windows on a single monitor. I like to use one monitor to work on the software I’m documenting, and another monitor for content creation (text changes, screenshot edits, artwork creation etc.). I personally wouldn’t stretch to more than 3 monitors (though you can on some computers, depending on the video outputs available) as it then becomes difficult to track open windows at a time. There are many monitors on the market based on different types of panel. Virtually all monitors are LCDs these days, mainly based on TN, VA or IPS panels. You can read more about the different panel types here. I would suggest the vast majority of technical writers go for an IPS monitor, for the superior colour reproduction and viewing angles. As technical writers branch out further into design and web content creation, seeing as accurate a representation of your work as possible is key. Here at Armada, we spend most of our working days typing on our keyboards and clicking on our mice. Making a small investment on a good keyboard and mouse is worthwhile for the usage that they get. I highly recommend spending a little more to get a mechanical keyboard. Each key has an individual switch underneath (rather than a single pressure pad). This makes typing more predictable, quicker and precise. There are various styles of key switches to choose from based on their tactile feedback, sound and actuation force (the force needed to register a key press) – it’s worth trying different switches out to find the one that suits you. Pair your keyboard with a good wrist rest to alleviate repetitive strain injury. An ergonomic, accurate mouse is also worth considering. There are many mice that are shaped to fit your hand naturally (reducing cramps) and feature additional buttons for you to map frequently-used commands to. A good keyboard and mouse can last for years, and it’s why I recommend not cheapening out on these. You should also think about how your desk is laid out. Is there enough room on your desk to work on? Is everything you need in easy reach? Are your computer monitors at eye-level height? It’s easy to underestimate the importance of a good ergonomic chair, too. Most of our working day is spent sitting down so it’s vital that you take good measures to reduce chances of back troubles and fatigue. You can learn a bit more about office ergonomics by viewing a sample of e-learning work we’ve produced for one of our biggest clients, Arqiva. There’s a lot to consider when it comes to the perfect office setup. What else would you recommend for a technical writer?